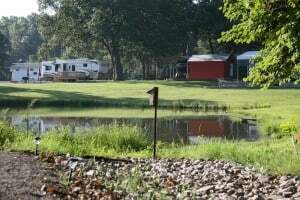 Coy & Wilma’s is in a prime location for camping at Rend Lake, with quick access to the boat launch facilities at the Army Corps’ North Sandusky Campground. Easy access to the lake is important to most of our campers who boat and fish every day, but it is certainly not the only reason to camp at Coy & Wilma’s. Our greatest asset is actually our wonderful community of regular campers. They are the reason Coy and Wilma’s is the best place at the lake to relax and spend time with family and friends. No matter whether you are camping for a weekend, a month, or a whole season, Coy & Wilma’s is the friendliest campground at Rend Lake! If you don’t boat or fish, there are no shortage of other enjoyable activities at Rend Lake. Coy & Wilma’s is only steps away from the Rend Lake Bike Trail, just a few minutes from the Rend Lake Golf Resort and close to more than a dozen great hiking and nature trails. Rend Lake is also just north of the Shawnee Wine Trail whenever you are in the mood to taste some of Southern Illinois finest wines. Coy & Wilma’s is pet friendly and has a fishing pond where kids are sure to catch a fish every time they try. If you are looking for the perfect place to stay at Rend Lake, give us a call us today to learn more about how we can accomodate you.